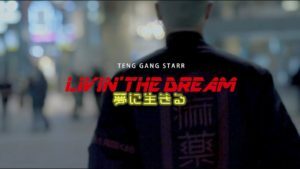 TENG GANG STARR consists of two rappers: kamui and MINAMI (なかむらみなみ). Image is taken from the music video from the track Livin’ The Dream feat. MIYACHI.